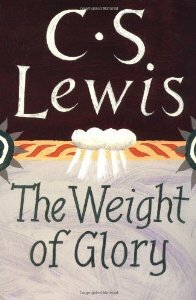 In the article, Lewis builds a case that while there is mystery in prayer, one thing we do know is that prayer is not a means of tapping into a genie god that gives us whatever we want. By its very nature, a petition is a request of someone, a request that can be granted or denied based on the wishes of the one being petitioned. We are not guaranteed the request and a denial does not indicate a lack of love on the part of God. To support his point that a denial does not indicate a lack of love, Lewis uses the example of Jesus in Gethsemane. In Matthew 26 and Mark 14 we find Jesus praying to avoid drinking the cup of God’s wrath on our behalf. He feared the suffering that was to come, yet was resigned to follow the father’s will. It was God’s will that Jesus would go to the Cross to accomplish the Salvation that was planned from eternity. God, in his mercy and wisdom, does allow us to participate, through prayer, in the accomplishment of his will. In the course of that accomplishment, we are sometimes privileged to see answers to prayer that defy explanation as coincidence. Often it is those who are young in the faith, parying with innocent boldness, who see the most striking answers to prayer. Their immature faith is nurtured by these prayers. In contrast to this, it seems that mature Christians are sometimes stretched in their faith by trials when it seems as though God is unwilling to grant their petition for relief. God, in his wisdom knows where the believer is and what he can handle (see 1 Corinthians 10:13). Paul prayed three times to be relieved of his “thorn in the flesh,” a petition that was not granted (2 Cor. 12:7). In the case of Paul’s thorn, God thought it necessary to allow it to remain to increase Paul’s understanding and dependence upon the grace of God. I am encouraged in that when I find myself in circumstances which seem desperate, and in which God seems to delay in responding, I am better able to remember that I am not abandoned. I can also be confident that God is using the circumstance to build spiritual strength in me. The desperate posts in the battle can be lonely and hard, but God knows what he’s doing and he chooses well. Why then am I so reluctant to volunteer? One flesh and inseparable – does your church view marriage this way? When the divorce rate in the church is little different than in society in general, we must be honest about how well we support marriage. Church leadership has the responsibility to not allow ministry to be a cause of division in a marriage.